SunCoast Market Co-op (formerly the I.B. Healthy Grocery Initiative) is a grassroots effort to open a community-wide natural foods grocery store in Imperial Beach. 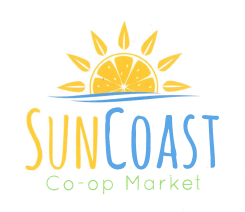 SunCoast will offer natural, local and organic products at reasonable prices while supporting the local economy, providing food education and advocating for environmentally sustainable practices. To raise the funds needed to open the store, we need South Bay residents to become owner-members. Owner-members will be eligible for owner-only discounts when the store opens, patronage refunds in profitable years, and will elect the Board of Directors.